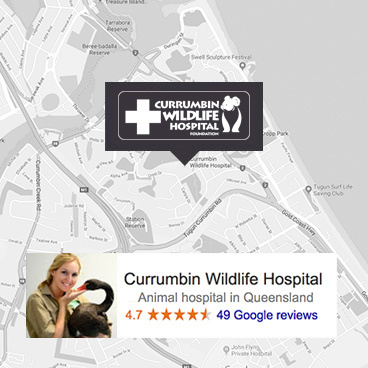 The Wish list items make an immediate difference to the Currumbin Wildlife Hospital (CWH) in treating 11,000+ Australian Native Wildlife Animals per year. The cost of the medical equipment and staffing as published by the CWH is an accurate estimate of the list price at the time of publication. It also includes an allowance for handling costs, delivery, handover costs and a plaque to acknowledge the donor. The actual cost of equipment may be different at the time of purchase. Any shortfall in the cost of the equipment will be paid by CWH, any surplus will be treated as a donation to CWH’s general account and will be used to financially support the Hospital. Please be advised that if the specific item you have nominated to purchase as a donation is no longer required we will notify you with a substitute piece of equipment equal to the same value which will aid in the care of our 11,000+ native wildlife animals treated in the Hospital. We will send the nominated contact an update of the equipment purchased to confirm the benefits will be applied as outlined.